Herbs Hare from Charlie Bears is a gorgeous character with a coat of long-pile silver-tipped grey plush. He has a dark face, paws and inner ears - and his ears are posable too! 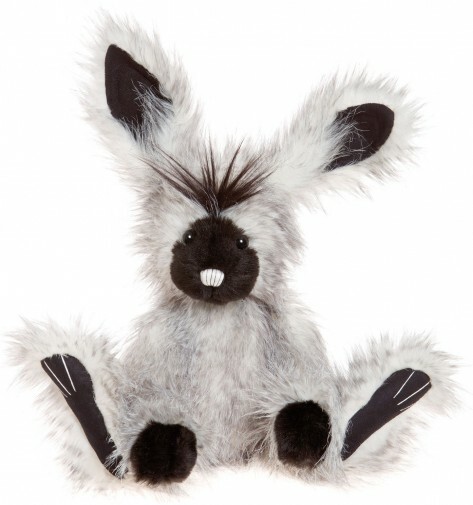 He has big hare feet, a fun long black 'hairdo' and silver high-lighted, hand-stitched nose. Herbs Hare is from the Charlie Bears 2016 Collection.